Understanding how college statistics of quarterbacks translate to NFL success, is very important to understanding the draft day value of quarterbacks. The first chart below visualizes the COLLEGE completion percentages of Super Bowl winning quarterbacks like P. Manning, Aikman, Rodgers, E Manning, Roethlisberger, Brees, Elway and Brady. 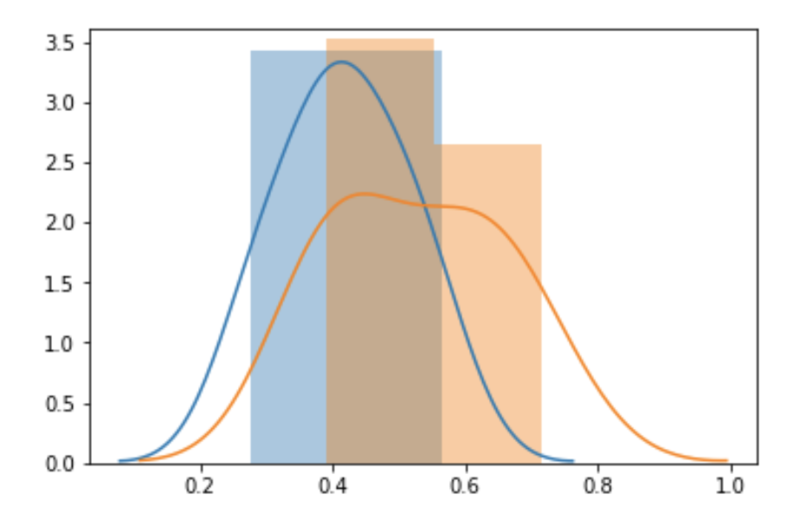 They are represented as the BLUE histogram. 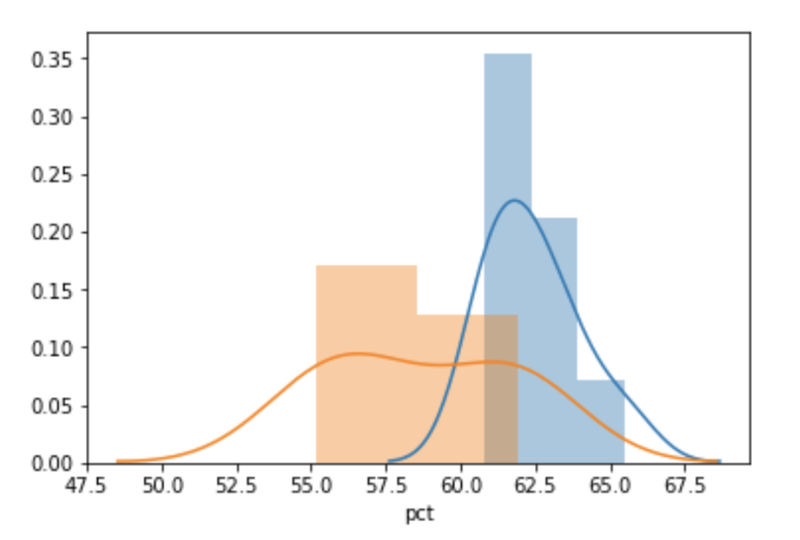 The orange histogram represents the COLLEGE completion percentages of famous high round draft picks QB busts like Young, Harrington, Quinn, Russel, Ponder, Carter and Plummer. Looking at the histograms, it is apparent that the Super Bowl winners’ college completion percentage is clearly shifted to the right which indicates that this is a good indicator that college completion pct is important and should be above 60%. 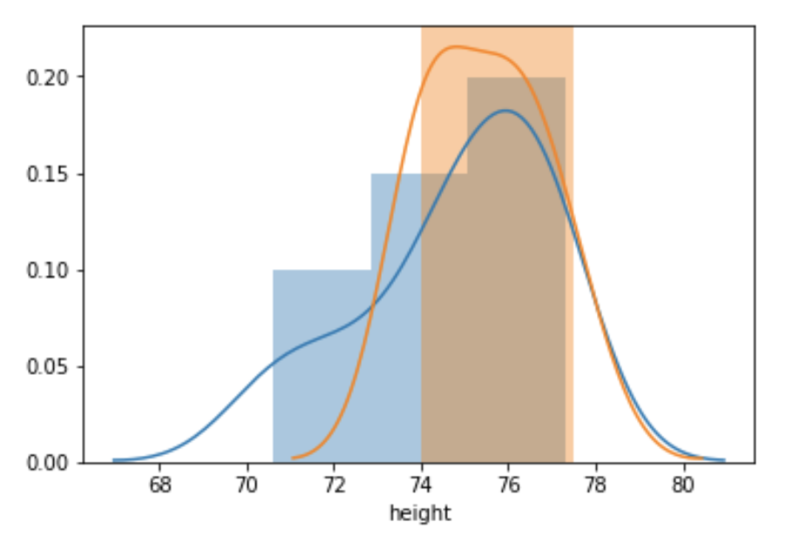 In comparison, let’s look at height as a predictor – the histograms below represent the height of the same QBs and it is apparent for the histogram with these Abs height was not predictive like college completion percentage. Now lets look at the ratio of interceptions to touchdowns – clearly the sweet spot is around 40% and trying to stay less than 57% would be a good goal. The final histogram below compares the rush attempts per college game. From this chart, Super Bowl winning quarterbacks tend not to be runners whether by choice or by chase. 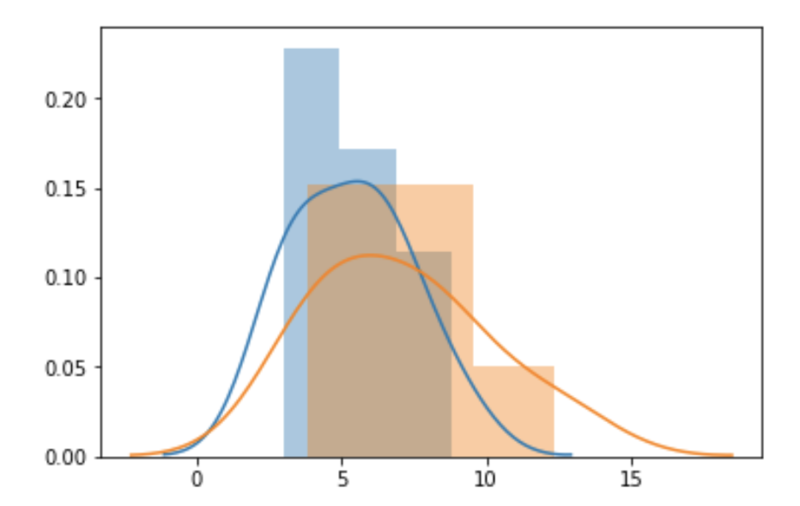 We think the above charts provide great insight into how college statistics coupled with machine learning can help predict NFL success on draft day. Our machine learning system predicted that Nick Foles would be a franchise starting quarterback and would likely win a Super Bowl and he did. 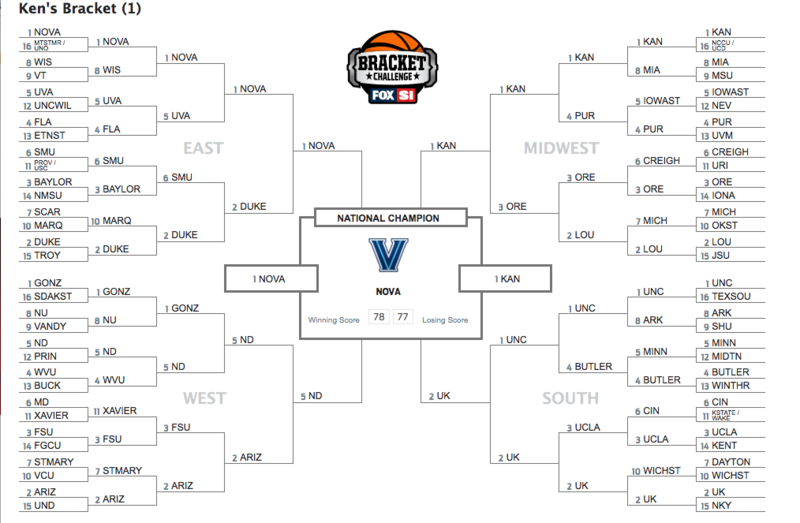 THIS PREDICTION WAS MADE USING MACHINE LEARNING AND ONLY NICK FOLES COLLEGE STATS. 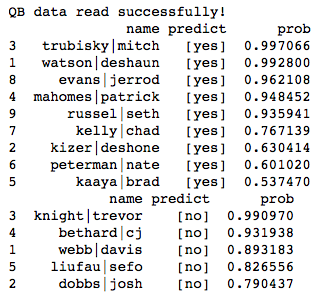 See our machine learning results below of many quarterbacks you may know – these predictions are based only on the their college statistics on the day they were drafted. 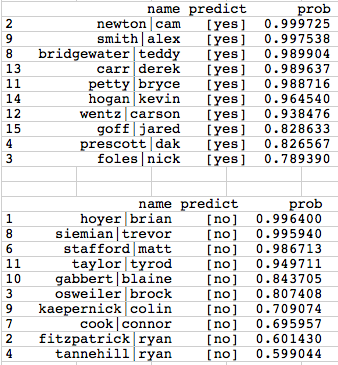 Nick Foles was almost an 80% chance to be star quarterback based on our machine learning system and his college stats. The problem sometimes with explaining machine learning outcomes to NFL general managers, scouts and coaches, regarding NFL quarterbacks, is that the results are black boxed and it is hard to understand why the computer selects certain players over others. This article is going to try and put some visualization to players to demonstrate how some great quarterbacks compare to some less than great quarterbacks based on college statistics. It is pretty easy to come up with a list of great quarterbacks that have played in the NFL, but it is hard to compare the college stats of older generations in today’s more aerial based game. The list below will be comprised of some of the more prolific passers with successful NFL stats and some of the projected quarterback draft picks who did not pan out in the NFL. By looking into these stats, we hope this helps you see what our NFL Quarterback Machine Learning System sees when it analyzes players’ college stats. The machine learning clustering will relate the quarterbacks in the clusters based solely on college statistics. Here is the graphic representation of the college statistics and there relation to all the players in both lists. 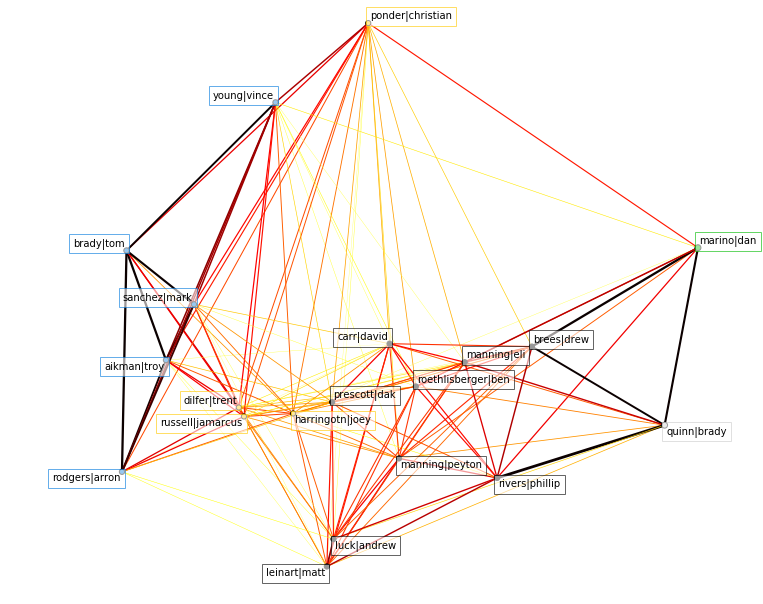 Here is the textual version of the graph showing the 5 clusters. We think that this provides great insight regarding how college statistics can predict NFL success. Cluster 1 is particularly interesting how the names (except Carr) are very elite. Yet cluster 4 and 5 are not. Cluster 2 shows some very elite quarterbacks as well. 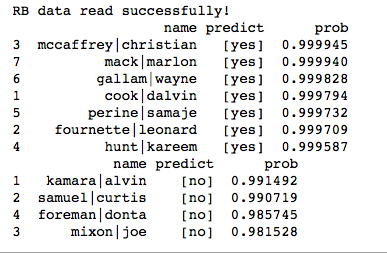 Using our Machine Learning NFL Franchise Quarterback prediction system for the 2016-2017 season, we project that these teams will struggle at the quarterback position. Our system predicts the career of a college quarterback in the NFL based soley on college statistics. Our system labels a quarterback “yes” draft and “no” draft. The “no draft” designation indicates that a quarterback will NOT likely be a franchise quarterback and that they will put up less than stellar numbers. It also is an indicator if a team will make it to the playoffs. Only 2 of the 12 quarterbacks that went to the playoffs last year (2015-2016) were “no” draft quarterbacks. Buffalo Bills – The Bills look like they will start Tyrod Taylor (taylor|tyrod, [‘no’], 90.56%). He is a no draft according to our machine learning system. The good news in Buffalo is they have Cardale Jones (jones|cardale, [‘yes’], 97%) who is a yes draft and will some day be the starter. Minnesota Vikings – The Vikings lost Teddy Bridgewater (bridgewater|teddy, [‘yes’], 92.25%) to a knee injury in practice. The replacment, for now is Shaun Hill a 36 year old veteran. Shaun Hill is a NO and the Vikings will suffer through this season we fear. (hill|shaun, [‘no’], 92.25%). A new development, Vikings picked up Sam Bradford – also a no draft. (bradford|sam, [‘no’], 51.92%) As we said, we fear the Vikings will suffer through. Miami Dolphins – Ryan Tannehill is a No draft and the Dolphins will suffer another ho-hum season with him as quarterback. Good news for the dolphins, Brandon Doughty is a yes draft and he looked great in pre-season – for a rookie. Doughty was our best value in the draft last year as he was highly rated by our system and taken as the last quarterback overall. Tennessee Titans – Not only is Mariotta young and inexperienced, Our machine learning NFL franchise quarterback prediction system thinks he is a no draft. (mariotta|marcus, [‘no’], 71.51%). NY Jets – AHHHH the Jets, the season would not be complete without mentioning the Jets as they will continue to experience quarterback issues. Fitzpatrick is a no draft. (fitzpatrick|ryan, [‘no’], 73.80%). Predicting the 2017 Superbowl winner. Looking back at the last 10 Superbowls, 80% of the time, the Superbowl winner was ranked in the top 10 (actually top 8) in total defensive yards allowed per game for the prior season. (Less is better) There were two Superbowl winners that were ranked 22nd (2006-07 Colts) and 23rd (2009-10 Saints) in Yards allowed. However, we will go with the 80% and stay in the top 10 defenses from 2015 listed below. 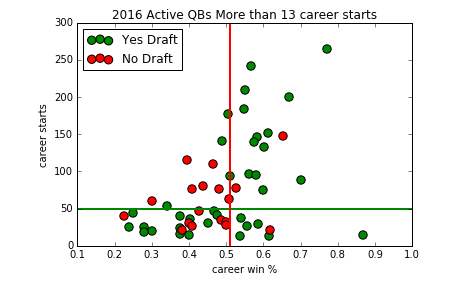 Now the next statistic we will use to rank the teams is the quarterback “yes draft” “no draft” from our machine learning NFL quarterback analysis system. Starting with Denver, Manning’s retirement leaves Denver with Mark Sanchez and Peyton Lynch. Sanchez was a “no draft.” Paxton Lynch was a “yes draft”, but a rookie quarterback is a stretch to win the Superbowl. So we will take Denver off the list. The Houston Texans have Brock Osweiler who left Denver. Osweiler is a “no draft” so we will take the Texans off the list. The Jets “have”, QB issues. Despite Geno Smith being a “yes draft” the Jets seem to want Ryan Fitzpatrick back – he is a “no draft.” The topper for the Jets is that our system ranks the Christian Hackenberg a “no draft” too. Jets are off the list. The Arizona Cardinals have quarterback Carson Palmer. Palmer is a “yes draft” and we leave them on the list with a shot at the Superbowl. The Carolina Panthers’ Cam Newton is a “yes draft” and they are on the list. Alex Smith of the Kansas City Chiefs is a “yes draft” and we will leave them on the list. Finally, the Tampa Bay Buccaneers have Jameis Winston. Winston is a “yes draft” and the Bucs are on the list. So this is our shortlist for the Superbowl contenders for 2017. I know you probably wanted one name, but it’s only May!!!!! !